A bunch of very quick sketches of random faces/characters that I did just to get warmed up recently. 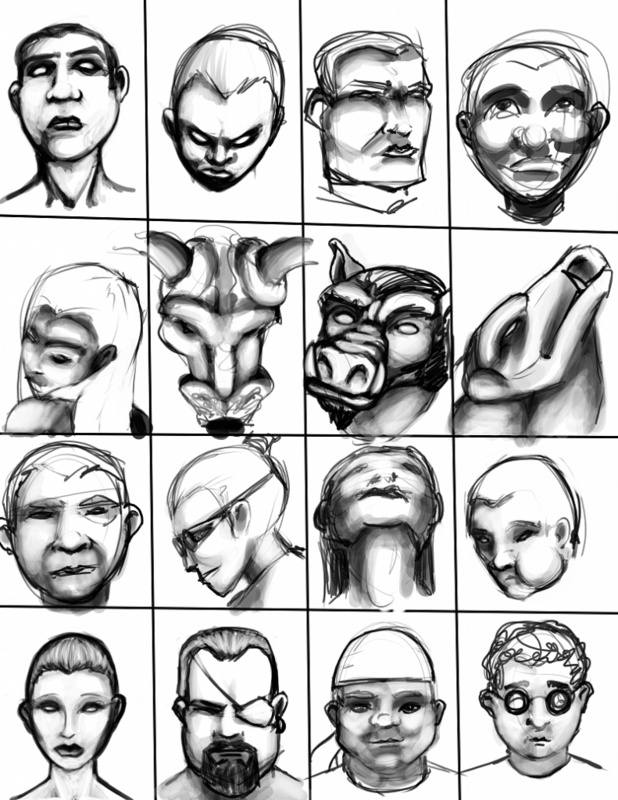 Done entirely digitally, and spent only a couple minutes on each face. I just wanted to get a feel for each of the characters/creatures and then move on to the next. Also played with lighting in a couple of the characters. Tagged art, art exercises, character portrait, digital artwork, fantasy art, illustration, portrait illustrations, quick drawings, RPG, sketch. Bookmark the permalink.